With us coming to you, there’s no arranging transportation to or from the dental office and no long wait times to see the dentist. Don’t look too far, we come to you. It’s more than just an exam. We offer comprehensive dental services right in the comfort of your own home. We offer complete, comprehensive and esthetic dental services in the comfort of your own home. We have found that the need for in home dental services is greater than previously expected, and the number of dentists that offer these services are hard to find or are too expensive. Many of our patients require discrete and confidential dental services. Others are home bound due to advanced age, compromised medical conditions, immunosuppressed, or because of physical and/or mental disabilities. Whatever the reason, our goal is to make your life a little more simple and comfortable by bringing the dentist to you. If you or a loved one under your care have difficulty traveling to a dentist, we bring the care to you. 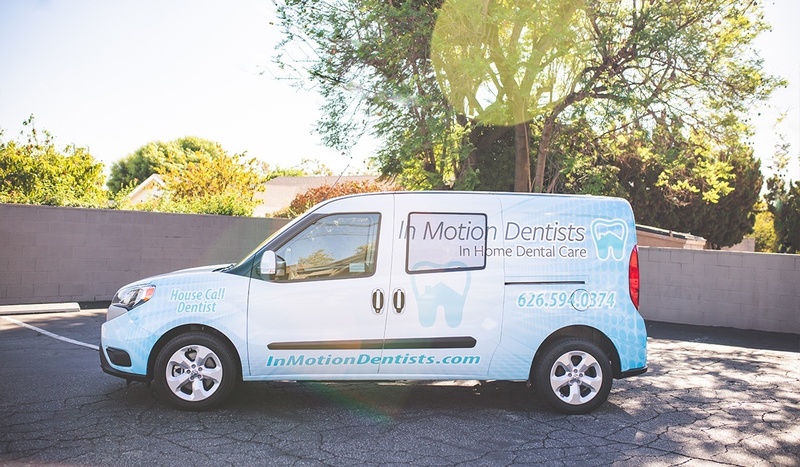 The team at In Motion Dentists provides complete and comprehensive dental care. Many of our Los Angeles and Orange County patients are mentally or physically disabled. Others are homebound or have a difficulty traveling to the dentist for a variety of reasons. We are committed to bringing compassionate and professional dental care to all who need it. Our doctors are trained to deliver the highest level of dental care in the most aesthetic way. Treating you or your loved one safely and predictably is our top priority. We work closely with caregivers, family members, facility directors and medical practitioners of all kinds to assure the best possible care is given for every one of our patients. Dr. Banner comes from a strong background of reliable and honest work. He has a thoughtful passion for providing high quality and compassionate dental services to his patients. Whether you’re having a dental emergency or it’s been too long since you’ve seen the dentist, Dr. Banner is here to make sure you and your loved ones are provided with the highest quality of dental care. Whether you’re having pain and need emergency services, chipped a tooth and need it repaired ASAP, are having difficulty getting to a dental office or require discrete and confidential dental services, we are here to make sure your dental needs are met. With the use of portable compact dental equipment, we provide patients with many of the same services you would receive in a traditional dental office. Below are a list of services we provide, but ask us if you don’t see a service that you need. 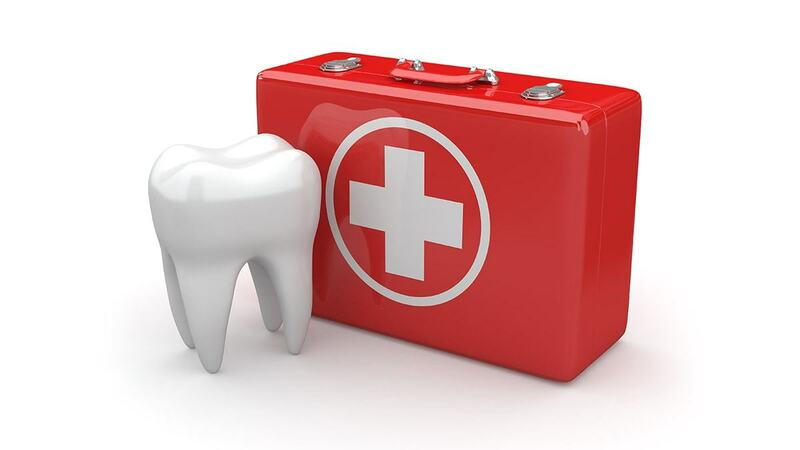 *Some root canals and extractions may be referred to a dental specialist if found to be complex. We understand emergencies are unexpected and we are ready for your call at any time of the day. So don’t go another sleepless night because of dental pain. We can give you relief today. Do you have a patient that no longer can come to you? Refer them to us and we will provide the same great care you have for so many years. We can provide dental services in the comfort of their own environment. If you feel like going to the dentist is too much stress we can make this process easier. We make ourselves available whenever you need us. We treat all of our visits with confidentiality and discreetness. At In Motion Dentists, we value YOU as our patient. We commit to treating you as family. This means we will provide the highest level of dental care in the most esthetic way. No silver fillings, no metal crowns and if a tooth needs to be removed, we will provide you with options to replace it so your esthetics and smile are not compromised. 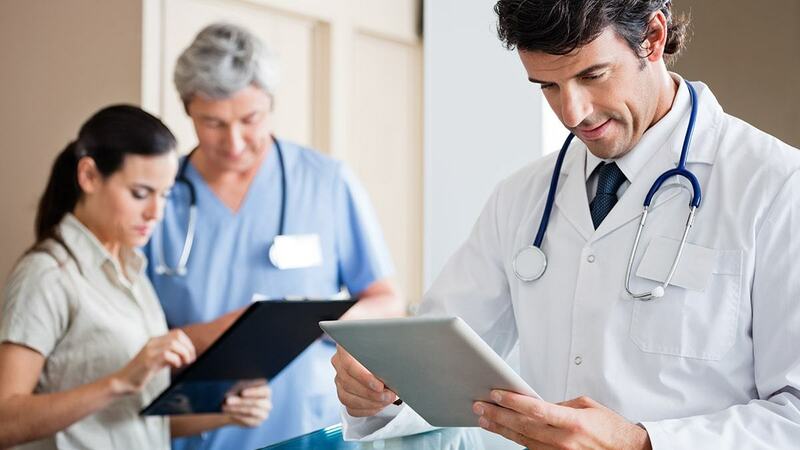 Our doctors are trained and experienced in treating patients that have advanced behaviors, anxiety of being in a doctor’s office and that have advanced medical conditions including dementia, drug abuse and debilitating health conditions. Treating you or your loved one safely and predictably is our top priority. Quality. Dr. Banner’s approach to dentistry is providing Los Angeles and Orange County patients with personal attention and efficient care. The quality also shows in Dr. Banner’s choice of materials and techniques. Proficiency. Expertise in procedures allows Los Angeles and Orange County patients to feel comfortable and experience a durable and attractive outcome. Dr. Banner has years of practice in oral health and has highly trained dental assistants to aid in treatments. Comfort. Our Los Angeles and Orange County patients tend to be less intimidated by treatment due to the procedures being done in the comfort of their own home. Patients are also allowed to be comforted by their loved ones or caregivers as well, while treatment is being performed. Our goal is to provide our patients with a safe and comfortable experience. We are committed to treating you as family. We value you as our patient and are dedicated to making lives a little more simple and comfortable by bringing the dentist to you. During the initial appointment, Dr. Banner will perform a comprehensive exam that includes reviewing medical history and medications, as well as an oral cancer screening and x-ray to further discuss any recommendations for future oral health plans. With the use of our portable compact equipment, we can perform the same services you would receive in a traditional dental practice. It’s more than just an exam. We offer comprehensive dental services right in the comfort of your own home! Call to schedule an appointment today at (626) 594- 0374. By checking this box you hereby agree to hold CLIENT NAME, including its doctors and affiliates, harmless from any hacking or any other unauthorized use of your personal information by outside parties. By checking this box you hereby agree to hold in motion dentists, including its doctors and affiliates, harmless from any hacking or any other unauthorized use of your personal information by outside parties. By checking this box, you also agree to receive email communication from in motion dentists and its doctors.